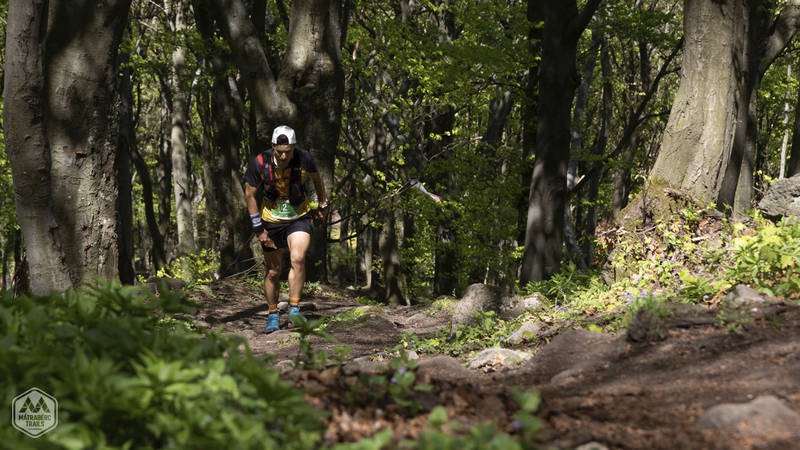 The Bükki Terepfutók Baráti Köre Egyesület (BTBK) are announcing the 10th event of “Mátrabérc Trail” alongside the 5th edition of ”Muzsla Trail”, partially self-sufficiency mountain trail running races on 20-21 April, 2019. All events take place on the signposted paths in the mid-altitude forests of the Mátra range in Northern Hungary. The Mátrabérc Trail and Muzsla Trail are trail running races that take place along signposted paths/trails in the Mátra Mountains. The longer and more difficult of the two challenges is the Mátrabérc Trail traversing Mount Kékes, the highest peak of Hungary. It is a 54 kilometers-long trail running event boasting a 2800 m D+ overall altitude gain throughout its course. The Muzsla Trail’s corresponding statistics are 27 kilometers in length and 1130 m D+ in terms of overall altitude gain. Start: Sirok - Kőkútpuszta, 08:00 a.m. Finish: Szurdokpüspöki (primary school), until 06:00 p.m.
Start: Szurdokpüspöki (primary school) 10:00 a.m. Finish: Szurdokpüspöki (primary school) until 03:00 p.m.
All participants are held responsible for assessing their physical abilities so that it is up to the level of the challenge represented in the course statistics (distance, altitude gain etc.) when entering the competition. Participants may have to deal with a variety of hardships such as physical and mental kind as well as ones due to the severity the weather conditions. Athletes must be aware that they are left to their own devices between refreshment points. That is to say, they have to carry on them all the garments, sufficient amount of food and drink provisions, first aid kits, maps and the like they may need throughout the race. Thus, any external help or support from a third party to the participants, with the exception of the close vicinity of the refreshment points, may necessarily result in their disqualification from the competition. Please note that any external help by team or family members is only allowed in the close vicinity of the refreshment posts and with the approval of the head of the refreshment posts. Once leaving these posts, they are to be unsupported until the next post. Food and drinks at refreshment posts are strictly reserved for the runners. Pacing and muling are not allowed. In order to register in Mátrabérc Trail or Muzsla Trail events, the registration form needs to be filled in properly, the registration fee will be payed in time and the rules are to be accepted. If registration fee is payed on the venue (not via money transfer, refer to it below), than it is due when signing the registration form. On signing the properly filled registration form, participants accept the race rules and that these rules are subject to change for unforeseen circumstances such as sudden deterioration of weather conditions etc. Also, by registering, participants exempt the organizers from any liability, whether it is civil or criminal, for damage to people and/or property caused by or to him/her. Entry is open to athletes aged 18 and over who, to their judgement, are in possession of good health conditions specifically for endurance sports racing activities. (for Mátrabérc Trail): from 06:00 p.m. till 08:00 p.m on Friday 19 April at Szurdokpüspöki (primary school), on 20 April Saturday morning at (Sirok-Kőkútpuszta) from 06:30 a.m. till 07:30 a.m.
(for Muzsla Trail): on 20 April (Saturday afternoon) from 02.00 p.m. till 06.00 p.m. at Szurdokpüspöki (primary school) and on 21 April (Sunday morning) from 08:30 a.m. till 09:30 a.m. at Szurdokpüspöki (primary school). The organizers will reserve the right to accept registrations of VIP athletes after the deadline as well. Mátrabérc Trail - 250 runners / Muzsla Trail - 250 runners. So the registration is guaranteed only together with the payment done in time. If the competitor wishes to cancel his registration, cancellation must be notified by e-mail to the organizers: info@mbtrail.hu. - 50 % reimbursement of registration fee will be done upon request due to cancellation until 05. April 2019, on Mátrabérc Trail / Muzsla Trail. In case of request the cancel of registration, reimbursement of the cost of the shuttle bus transfer is not possible. In case of adverse weather conditions (dense fog, snow or thunderstorms), the organizers reserve the right to make last-minute changes, even during the race, to the race route in order to eliminate potential hazards or conditions that could cause hardship for the participants. The staff will inform the participants of any changes. The organizers also reserve the right to suspend or cancel the race if the weather conditions are such that they put athletes, staff or medical teams at risk. The race bib must be worn on the chest or the stomach and must be permanently and fully visible throughout the entire race. It must, therefore, always be positioned over any clothing and cannot, for any reason, be fixed onto the back or to the leg. The name and logo of the sponsors must neither be modified, nor hidden. Not complying any of these regulations means immediate disqualification. On both races and the overall results, the first 3 finishers will be awarded, both men and women categories. Each competitor who completes the race within the maximum time limit will be given a Finisher T-shirt (Mátrabérc Trail) and a finisher cap or a multifunctional scarf. The fastest man who completes the route of Mátrabérc Trail under 5 hours and the fastest woman under 6 hours will be offered special cash prize of 100.000-100.000 HUF. Both the Mátrabérc Trail and Muzsla Trail race routes follow officially signposted trails. Additionally to the various official signposts, red/white labels are allocated to mark the courses of Mátrabérc Trail and Muzsla Trail. Check points will be set up along the route, where members of the staff will monitor the athletes as they pass. Should anyone refuse to undergo the check, they will be disqualified immediately. The check points are located in: Oroszlánvár, Kékestető, Galyatető and Mátrakeresztes. The organizers may establish unprompted additional check points anywhere along the route. There are 5 refreshment points placed along Mátrabérc Trail (Oroszlánvár (water only), Kékestető, Galyatető, Mátrakeresztes) and 2 refreshment stations along Muzsla Trail (Mátrakeresztes). The last point will be in the finish zone. In the refreshment points one can find still water, iso drink, cola, sweet and salty biscuits, chocolate, banana, orange, apple, pickle, salt. The runners must use their own drinking cup and water bottle. No drinking cups will be available at the refreshment area! Personal refreshment is only allowed at Kékestető, Galyatető and Mátrakeresztes to which points personal refreshment material can be transported by the organizers upon request. - Oroszlánvár: 8:30 a.m. -10:00 a.m.
- Kékestető 09:30 a.m. - 11:30 a.m.
- Galyatető: 10:30 a.m. - 01:30 p.m.
- Mátrakeresztes: 11:30 a.m. - 04:00 p.m.
- Mátrakeresztes: 10:30 a.m. - 01:00 p.m. In case of critical weather conditions, disasters, unexpected extreme situations may happen and therefore the race cannot be held, the Organizers keep the right to refuse the reimbursement of the registration fee or any part of it. The Organizers keep the right to stop or interrupt the race in case of weather problems and / or because of safety reasons, or modify the race time limits. The Organizers keep the right to modify the published programme and / or the course of the race. The participants will bear in mind that, due to the route characteristics, immediate medical assistance arrival on site may take extra time. Each participants are obliged to take the highest care on their own and on others safety, and will give assistance to fellow participants in case of emergency situations, having injured, if necessary. Voluntary registration and subsequent participation in the race imply full acceptance of the race rules and any changes they may have to undergo. By registering, the participant exempts the organizers from any liability, whether civil or criminal, for damage to persons and/or property caused by or to him/her. Be responsible. Respect and honor yourself and your fellow participants. Do not cheat. Respect the Organizers and the Volunteers: they are devoting their spare time for you. Respect the local inhabitants. They host accommodate the event and all the participants in their country. Respect the Environment: do not drop anything away (not even if organizers may not recognize it) along the route and do not shortcut the paths. Each participant is obliged to give assistance to fellow participants when injured or in danger/difficulty. Protest must be submitted to the Organizers, in writing, together with a deposit of 10000 Hungarian Forints or its equivalent, within 2 hours crossing the finish line. If the protest is rejected, the deposit will be forfeited to the Organizers. If the protest is upheld, the deposit will be returned. On registration, athletes authorise the Organisers to freely use any images depicting athletes during their participation in Mátrabérc Trail and Muzsla Trail, whether still or in movement, with no territorial or time limits. One can take part in the race only if fulfills the participation requirements, completes the registration form and arranges the entry fee payment before the given deadline. Holding the registration, the participant acknowledges and accepts the rules and ethics of the race.